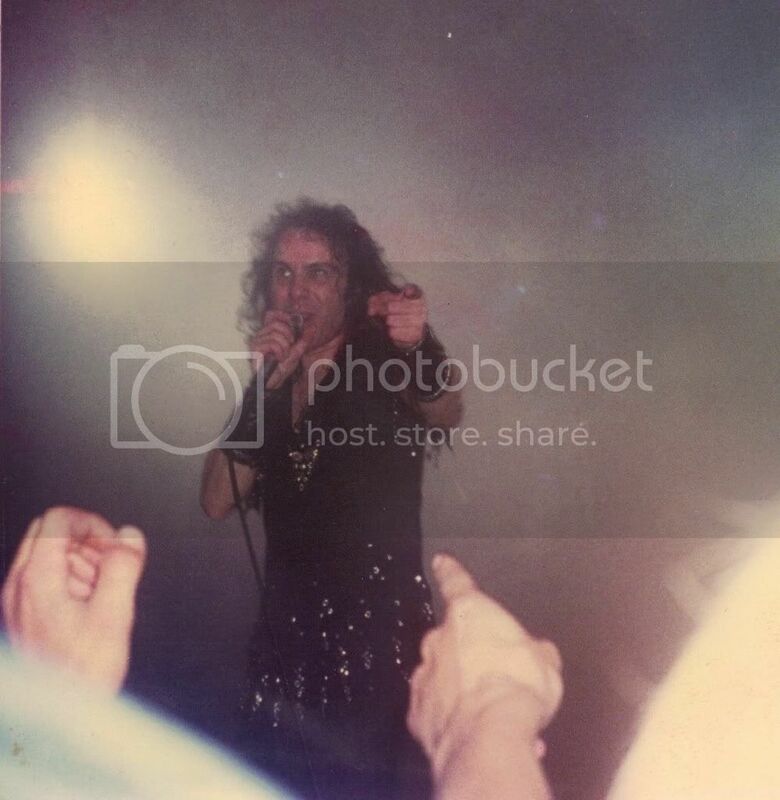 How about starting this thread with a discussion on a man who unfortunately doesn't get mentioned much around DTF; the mighty Ronnie James Dio! What is everyone's top five Dio fronted albums? Brent, Lock Up the Wolves is awesome. Wish he would've kept Rown around for a few albums. The Traci G years were a waste. Strange Highways is OK I guess but Angry Machines is his worst album. I always thought vocally that Dio's best album was Mob Rules followed by Holy Diver. That was his peak/prime if you ask me. But I do have a soft spot for the first Rainbow album. Love that young Ronnie voice. I actually have a Top 30 Dio songs ranked on my computer. Gotta find it. Wow, I think I just got a contact high from looking at those pics, Tim. 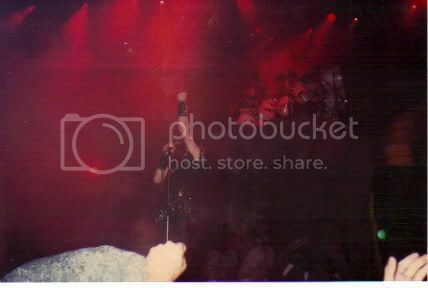 Can't remember if I've ever posted it on this forum, but this thread seems like the appropriate place... First concert ever: Kick Axe on the Vices tour, opening for Whitesnake on the Slide It In tour, opening for the headliner, Quiet Riot on the Condition Critical tour at the Oakland Coliseum. According to SetlistFM, this show was on September 22, 1984. That sounds about right. I remember they put on a great show, but I did not really know their songs at the time, so I cannot say if that is accurate (other than the songs from Slide It In, which I do recall). No set list available for Kick Axe either, but I believe they may have played Heavy Metal Shuffle, Vices, Dreamin' About You, and Alive and Kickin', among others. It's always interesting looking back and seeing which band opened for another. Whitesnake opening for Quiet Riot sounds very out of place now. I remember reading Bon Jovi opened for Ratt in the early 80s as well as Metallica opening for Metal Church. Tons of examples I'm sure where the opening band went onto much greater success than their headliners. You've mentioned to me about that show. That was a great lineup. That was the day I turned 16. I remember the Ratt/Bon Jovi tour. I didn;t go. Hated Ratt. 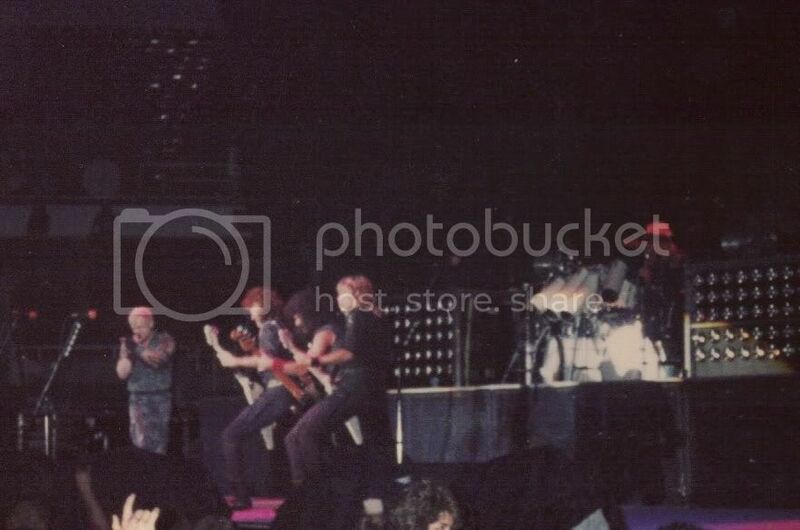 Saw Bon Jovi on June 9th, 1984 open for Scorpions though. they were awesome! It's always interesting looking back and seeing which band opened for another. Whitesnake opening for Quiet Riot sounds very out of place now. Really? I thought they actually matched up pretty well in terms of the style of music, fans, general attitude, etc. I wasn't referring to the music match up, they would be a good match. I was just saying that in retrospect Whitesnake is a much bigger act and today, it would seem out of place that they would have opened up for Quiet Riot. Oh, I see. Yeah, that's true. But at the time, QR were burning up the charts, and Whitesnake was just barely becoming known in the U.S. I remember watchng a behind the music on Quiet Riot. They sure didn't do themselves any favours, especially Kevin, with the egos. Kevin pretty much bashed all other bands and it got to the point that nobody wanted anything to do with them. They had a damn good short stretch of success though! They had a damn good short stretch of success though! Original Dio band signs with Frontiers. My question is who the hell is Andrew Freeman? That's interesting. I wonder if they are just going to focus on new material or rerecord Dio tracks. I really hope it's just new material. Has potential. Yeah, no idea who he is. I assume it's going to be new material, and that the name is simply for recognition, like "Heaven and Hell". No idea who the vocalist is, but given the rest of the band, I'm very curious to hear what comes from this. If memory serves Freeman sang with "Hurricane" (Hurricane = Hansen as far as I'm concerned) in recent years and has also toured with Lynch. I imagine there might be some live stuff from Hurricane in recent years on Youtube? That's right. He's been doing the Raiding The Rock Vault thing in Vegas too. He's no DIO, but then who is? Ahh, the Hit Parader yearbook. Where they basically reprint an article from as many bands as possible that they wrote about that year. I will say that the Hit Parader Yearbook of 1981 basically became my bible. And they were all quite disapponting to say the least. Slaughter doesn't belong in that group though. Wow, you really thought so? I REALLY liked Badlands and Blue Murder. Some of the best music to come out of the late '80s if you ask me. And while I personally didn't care for the other three, I still give them props for putting out some good music and doing well commercially. Bad English never ended up on my radar for some reason. I'm not sure if I ever heard anything from their two albums. I'm not sure if I ever heard anything from their two albums. You would've heard the ballad When I See You Smile which had saturation coverage - couldn't get away from it. Each of the bands you mentioned has material I like but all of them possibly should've been better than they were. Possibly? That's the understatement of the year! With the exception of Slaughter, I bought the debuts of every band you listed. I was less than impressed and probably liked only a song or two from each. Now I haven't heard any of them in ages, so I really can't comment on anything specific. As far as Badlands, to me, Jake E Lee was immortalized on Bark At The Moon, and this was the farthest thing from it. Same with Blue Murder. I wanted Sykes tearing it up on some upbeat tunes. Both , as far as I remember, were both mid tempo plodders. Mr. Big, was the biggest waste of talent. Of the four, I listened to Damn Yankees the most, but in the end, I never blinked when their next album came out. Badlands was always intended to be bluesy , laid back rock for the most part though. I was devastated when Jake changed course as I was obsessed with the guy's playing in Ozzy. Blue Murder would've been better if Sykes had let someone else in to do vocals - he does a decent job but I think he just took on too much there and the songwriting suffered. 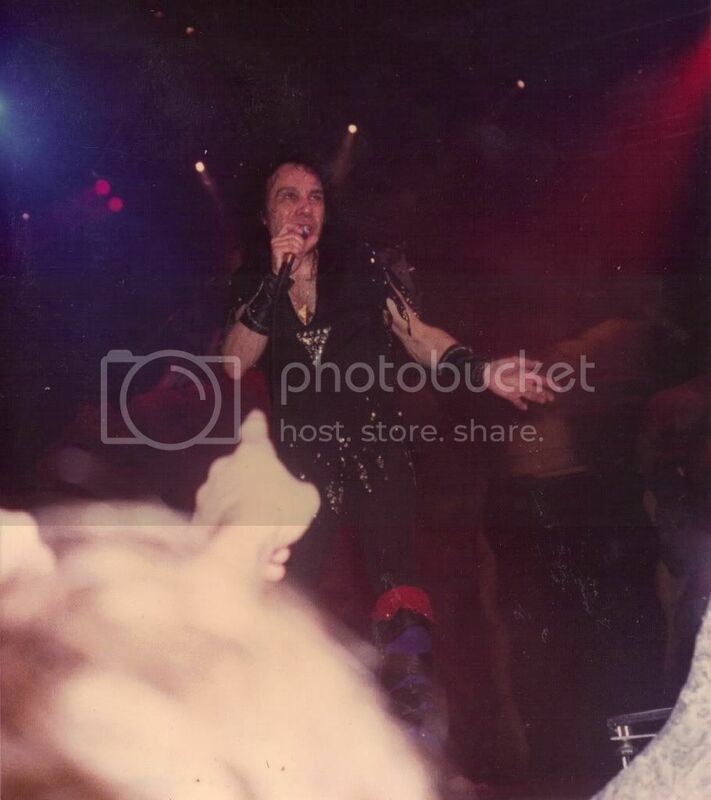 There were demos done with both Ray Gillen and Mark Free - both of which I'd kill to hear. The 2nd album is absolute shite. Sykes would have to go down as one of the biggest displays of unfulfilled talent ever. Damn Yankees were hit and miss - I'm surprised they're your favourite of the bunch as they're the (equal) "poppiest" in my eyes. Mr Big were a bit the same - I was surprised how little they rocked given the lineup. I'm actually a fan of a couple of Slaughter's lesser known albums like Fear No Evil and especially The Wild Life. Some great songs on those - also plenty of filler. Both Badlands and Blue Murder have some good tracks. Ray has a great voice and I bought the deluxe version of Sabbaths Seventh Star a couple of years ago and it was interesting hearing Ray sing for Sabbath in a live setting. Very little interest in the other bands mentioned; Slaughter is just way too chick rock for me. I agree about Sykes' vocals. They were terrible. An instant turn off. All of those had solid first albums but nothing that great afterwards with the possible exception of Mr B ig who had some good albums and Damn Yankees who's 2nd was very good. Bad English had a great 1st album with a poor 2nd. And I have a soft spot for BE as the singer (john Waite) is from my town - and we don't have any famous people from these parts! Interestingly, I think both of you unintentionally hit on one of the problems with these types of groups in general: expectations. Hearing Sykes in Whitesnake and Jake in Ozzy set up certain expectations for what their future projects would sound like, which is completely understandable, but is also perhaps a bit unfair because it can taint your ability to enjoy the music for what it is. I distinctly remember that initially happening with both of those bands at the time, despite that I quickly grew to love them both. When I picked up the Blue Murder album, I hated it on first listen and was about to trade it away to a friend of mine. I decided to give it one more listen just to make sure, and I picked up on a bunch of stuff the second time through that I had not cared to hear the first time simply because I was expecting a certain kind of sound. Similar with Badlands. I was expecting Jake to tear it up like he did on Bark At The Moon. And when I found out there was a guitar instrumental on the album, I was expecting it to be full of blistering solos, something along the lines of Mr. Scary. When it was much more blues influenced, I was initially pretty disappointed. I had to take a step back and adjust expectations. When I did, I was blown away by how much awesomeness was there. It was just a different kind of awesomeness than I was expecting. @Lowdz: I disagree about Badlands' follow up albums. I think Voodoo Highway, although a lot less slick and polished, was a BIG step up from the debut. And Dusk easily topped both of its predecessors. But the other bands on the list? Yeah, I agree. I thought I was the only one who thought Backlash was a big step back - seems to be well liked in the AOR community. I think there's some good stuff on Voodoo Highway , but also plenty of filler. Admittedly, that was my problem. I was also a fan of Sykes in the latter days of Thin Lizzy, as Thunder And Lightning is easily the most criminally inderrated album of the early 80's. Anyway, in 1989, I was pretty heavy into thrash/speed, and was listening to a lot of Metallica, Megadeth, and Helloween. that sort of thing. I did no really have any inkling for mid tempo buesy mumbo jumbo, especially after the shock of not having Sykes and Lee playing the kind of music that i was hoping for. Good call on that Thunder & Lightning album being criminally underrated. What a smoking awesome disc! Hey folks- it seems to me that we have a thread for just about every prog metal band of note , there's threads for Power Metal , melodic rock/AOR , Thrash (not active) and a few classic metal bands like Accept, Judas Priest etc..... have their own threads but for the most part there's a big gap when it comes to a general thread/discussion on classic hard rock and metal and uh.........I hope to fill it When I say "classic" hard rock and metal I'm talking about bands both past and present that play rock and metal in a style that was popular from late 70's through early 90's before the epidemic of flannelette flu devastated the music world. Seeing as I've started the thread I'll try and take some ownership over keeping things humming and so at least once or twice a month I intend to go back into the archives and post some scans of everything from music magazine covers , rare albums/merchandise , concert photos (TAC posted some goodies in my Top 50) and memorabilia. Hopefully we can stir up some good memories. My memorabilia collection is rather heavily weighted towards Van Halen but I'll do my best - hopefully others can contribute in that regard from time to time and lessen the reliance on me - even if it's just a cool shirt or something. PS Once I opened up the first magazine I have in mind and saw the contents ..OMG - the photos and articles are just so good/funny and bring back so many memories. I wish I could scan you guys some of the articles and photos within but I don't want any copyright trouble for myself or anyone on DTF and so I'll refrain and stick to covers , funny ads etc.... I'll try to make a couple of notes here and there on any points of interest from the articles to help generate some chat.